Ross and Carrie have been fire cupped, acupunctured, colonically cleansed, detoxed, oil pulled, reiki'd, and exorcised. But once they had done urine therapy, they had reached the peak of their unusual (and in this case, disgusting) experiences. OR HAD THEY? Can Ross and Carrie find a way to one-up drinking your own pee? Find out as they review Ross' experience drinking his urine, and soaking his foot in days-old urine to cure his eczema. Then, they find a way to make the situation worse for no good reason. Tagged with Urine therapy, urinotherapy, urotherapy, Orin Therapy, urinophasia uropathy. 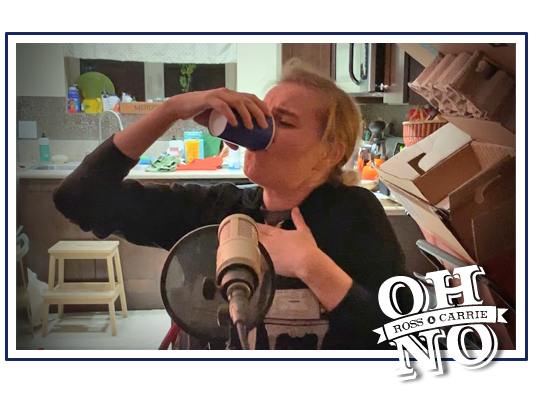 October 6, 2018 by Oh No Ross and Carrie.